FULL DISCLOSURE: Reporter Chris Meagher works for owner/editor-in-chief Marianne Partridge, but she had no role in the preparation, editing, or discussion about this series of reports. For the past three days, longtime owners of The Independent have battled it out in the courtroom of Judge Denise de Bellefeuille over control and ownership of the South Coast’s only alternative weekly newspaper. Editor-in-chief and minority shareholder Marianne Partridge, who sued publisher Randy Campbell in February 2010 in an attempt to force a sale of his shares after she says he reneged on a deal, already took the stand to offer her side of things, while Campbell, who owns 51 percent of the company’s shares, was on the stand Tuesday and Wednesday. The slowly unfolding legal drama — a fairly basic contract dispute — is centered on a 2009 proposal from Southland Publishing to buy the paper, and whether that proposal, and Campbell’s subsequent interest, was enough to trigger a right of first refusal in the company’s buy-sell agreement. Both Partridge and Campbell agree that the proposal from Southland — which prints The Independent each week and owns several newspapers — to buy all the shares of the paper for $2.7 million was not a binding offer. (The document from Southland also establishes as much.) Partridge, however, is arguing that a binding offer is not needed to commence a process whereby she could buy Campbell out of his shares. Both Partridge and Campbell, who have consistently butted heads for years, have alleged the other was attempting to use the situation to remove the other from ownership of the company. Partridge said in court Monday that the right-of-first-refusal deal is triggered by a stockholder giving his intention to sell his shares, regardless of whatever proposal may be out there. Campbell acknowledged under questioning from Partridge’s attorney, Gary Hill, that at the time the deal was coming together, he thought the clock was ticking, and Partridge believed the clock to be ticking. When minority owner Richard Parker opined it was not, Campbell responded with an email insisting he was incorrect. The process is well documented in a series of correspondence between and among various shareholders and attorneys involved in the process. Specifically, Partridge points to a letter to the other shareholders from Campbell in which he gives a “notice of my intention” to the others to sell all of his 1,530 shares to Southland “for the terms outlined in their offer sheet.” He also said it was a notice to shareholders of their first-refusal rights as outlined in the buy-sell agreement. He also said he was providing a copy of Southland’s offer so the others could get more information should they wish to sell. Also in the packet was an “Offering Notice” in which Campbell said he would sell his shares and would accept $1.37 million as outlined in Southland’s offer sheet. “It is an offer I plan to accept,” Campbell wrote to shareholders. Partridge is claiming that with this notice, the provisions of the buy-sell agreement were invoked, and the right of first refusal was extended to Partridge and the two other minority owners, Rick Grand-Jean and Richard Parker. In court Tuesday, however, Campbell offered clarifying testimony: “I was interested, but I was not committed,” he said. He claims he showed a general interest in selling his shares, but that it was agreed that he should go back to Southland to firm up certain portions of the proposal before the group made a formal decision. He also said the proposal from Southland was a confusing one, and that he wasn’t terribly familiar with how the buy-sell agreement worked. 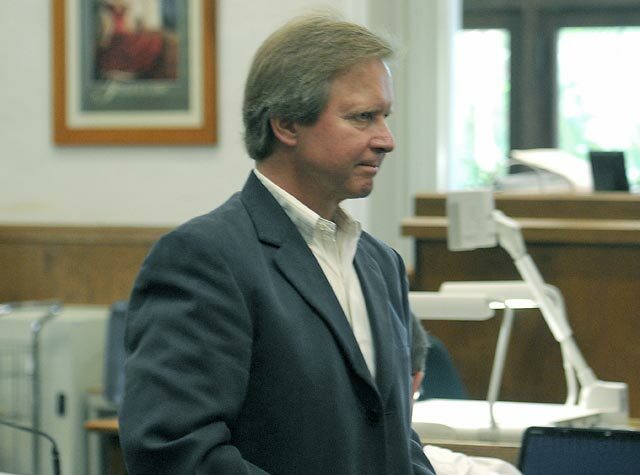 Campbell claims that Partridge was secretly scheming with attorney Joseph Cole, former publisher and president of the Santa Barbara News-Press. 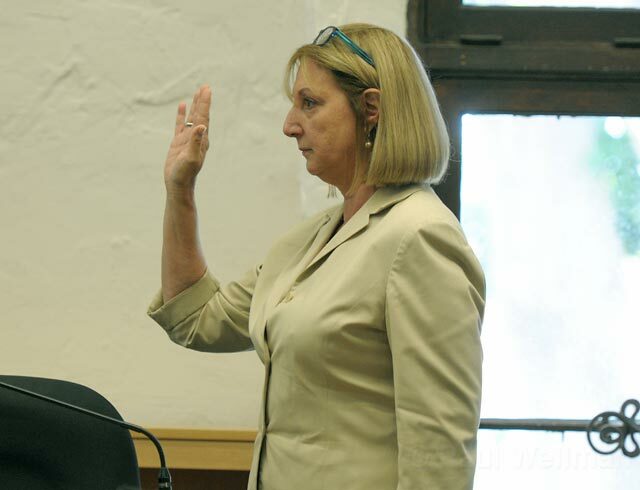 Partridge admitted on the stand Monday that she was interested in Cole becoming the next publisher of the paper, and said he fronted to her the money she needed to buy Campbell’s shares. But her attorney has also said it doesn’t matter whether she borrowed money or not, only that she was able to purchase the stock at the time of closing. Campbell alleges Partridge fudged the minutes from a board meeting, misrepresenting what actually happened, and colluded to get Campbell out as majority owner. “You wanted to trap him and take it over,” Campbell’s attorney John Rydell stated — to which Partridge responded in the negative. “Well, that’s what you did,” Rydell said. “I did not trap him,” Partridge responded. On the stand, Campbell was relatively crisp, if at times not clear about recollections. Partridge, meanwhile, tended to go on longer soliloquies, prompting the judge at times to rein her in. Her testimony at one point was stricken because she answered at length a question that hadn’t been asked. The conflict came to a head after Campbell did not get a pay raise at a time when the staff received an across-the-board 6-percent pay cut. He didn’t get it, and was upset, according to testimony. Shortly after, without seeking a vote from the board, he authorized a disbursement of dividends to stockholders, himself included. He was also in talks with Southland to potentially buy back 49 percent of the shares once a complete sale was done, leaving the minority shareholders out of the equation, and leaving just him and Southland. As part of their contracts, Campbell oversees the business side of the newspaper, while Partridge has complete control over the editorial side. Neither can be removed from their position without a supermajority vote of shareholders. Should Partridge prevail, she would be entitled to Campbell’s shares, making her the majority owner of the paper. If Campbell wins, he will retain his shares, and the ownership will continue as is. The trial is expected to last through the week, perhaps extending into next Monday.